For as long as modern financial markets have existed, real estate has been one of the most important asset classes for investors. Today, real estate is widely viewed as an integral part of a well-rounded investment portfolio. Some investors even choose to make a living off of real estate investments. Here are some of the reasons that investing in real estate is a great financial move for anyone who can afford to do it properly. During economic downturns, stock market crashes can cost some stocks large amounts of their value. Worse, companies that go out of business can lose all of their share value. Real estate, though it does shift with the predominant market trends, is more stable because it has some value in any market. Over the long term, this makes real estate one of the most stable investment assets. Most investments, with the exception of dividend-paying stocks, must be sold in order for the investor to get liquid capital from them. Real estate, however, can produce cash flow in the form of rental income without drawing on its equity value. Most real estate investors work with the long-term goal of developing a portfolio of rental properties to generate monthly passive income. Some will even take this principal a step further by hiring property management companies to handle everyday management and maintenance of the properties, thus effectively removing themselves from the real estate business while still making money from it. One of the things that concerns most people about getting into any type of investment is their own lack of knowledge about the market. In real estate, however, there is no lack of professional guidance and education to help you succeed. One of the most popular programs, Success Path, was even created by the hosts of one of television’s most popular real estate investment-based shows, Flip or Flop. Books, articles and videos about real estate investment abound, so finding information about making money in this market is extremely easy. You can check out Success Path reviews for more information. Aside from the cash flow it can generate, a real estate portfolio can be a huge asset in terms of its equity. A real estate investor who owned five homes valued at a mere $50,000 each, a small portfolio by most standards, would have a staggering $250,000 in equity. While some investors choose to keep their real estate portfolios to generate liquid income in retirement, others choose to sell in order to get their full equity out of the portfolio. A middle ground is often pursued by selling off some properties for a large lump sum and maintaining a handful of the ones that produce the best income. Many people who are thinking about getting into real estate look at the potential gains of having only one property and think that they are minimal. 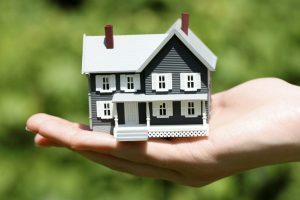 Like any good investment, however, real estate can be compounded over time if an investor approaches it the right way. This can be achieved by using the cash flow from one property to make mortgage payments on another. Over time, the compounding effect of such a strategy will produce a large portfolio of profitable properties. Whether you are an experienced investor or someone new to the idea of making your money work for you, real estate is a great investment to make. Learn the market, find a property that is within your price range and make your first investment. Not only will you be adding an asset to your portfolio, but you will also be laying the foundation for long-term financial success. Should You Invest In Property Or In Gold?